It's time again for a new Pattern of the Month! 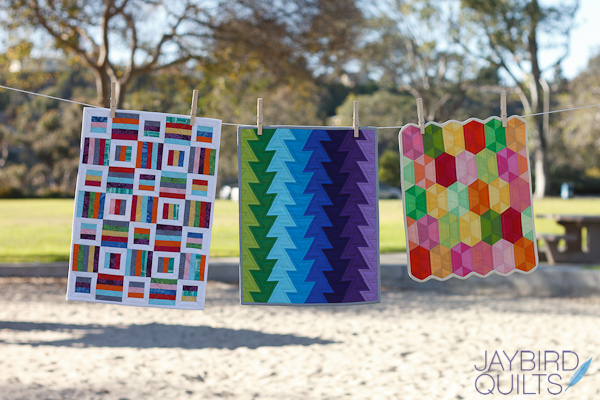 This month we selected Mini Disco Quilt Pattern by Jaybird Quilts as our March 2014 Pattern of the Month. Julie is here to tell you a little more about the March Pattern of the Month, and don't forget, it is 20% off all month! The Hex N More Ruler is one of my favorite tools to work with as you can cut four different shapes in four different sizes with it. The more I used the Hex N More ruler, the more I wanted a Mini Hex N More Ruler to easily cut the smallest size of the four different shapes. I've also grown to love making miniature versions of my full sized quilts to hang on the gallery wall of my studio. Every time I shared a photo of my mini quilts, people were so excited to see them and always asked me if they could have the patterns to make them, too. 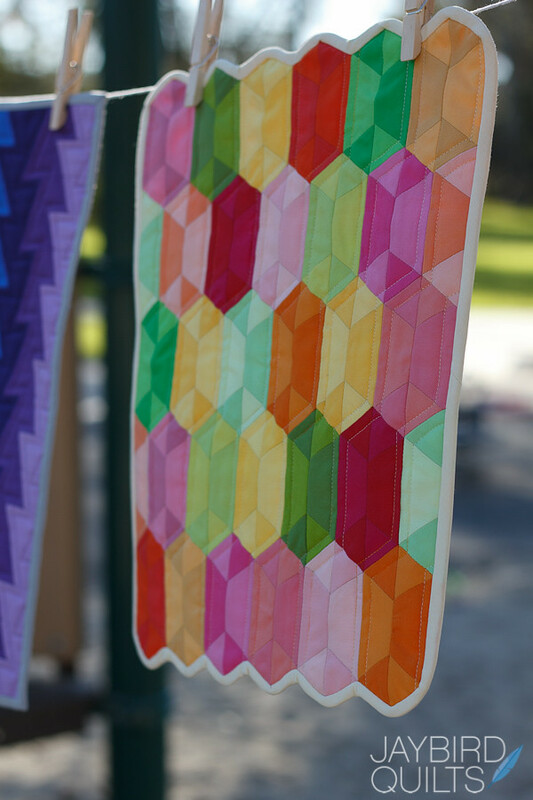 I finally just had to take the opportunity to make the Mini Hex N More and Mini Jaybird Quilts patterns, not just for myself, but for all sewists and quilters who enjoy versatile, quick and easy quilt projects. The Fat Quarter Shop March Pattern of the Month is my Mini Disco Quilt Pattern. 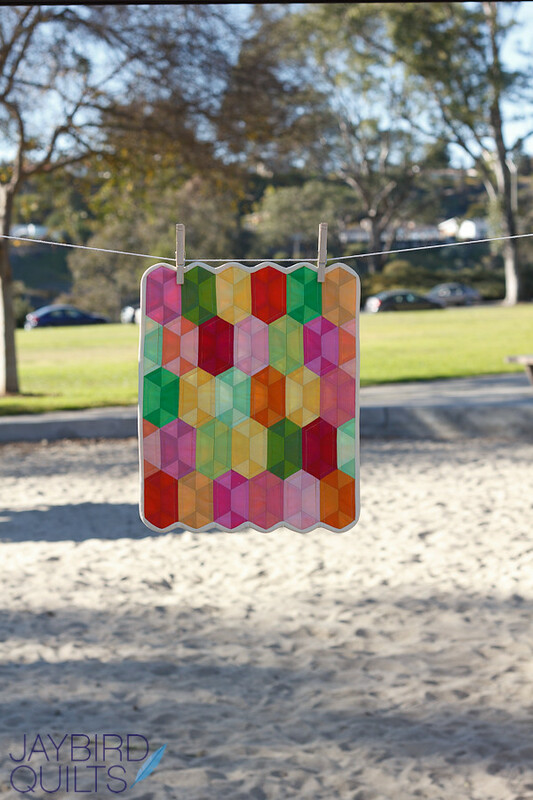 Mini Disco loves to play with high and low contrasting colors, she can be prepped easily by using the Mini Hex N More ruler to cut her pieces and she's charm pack friendly or great for stash busting. 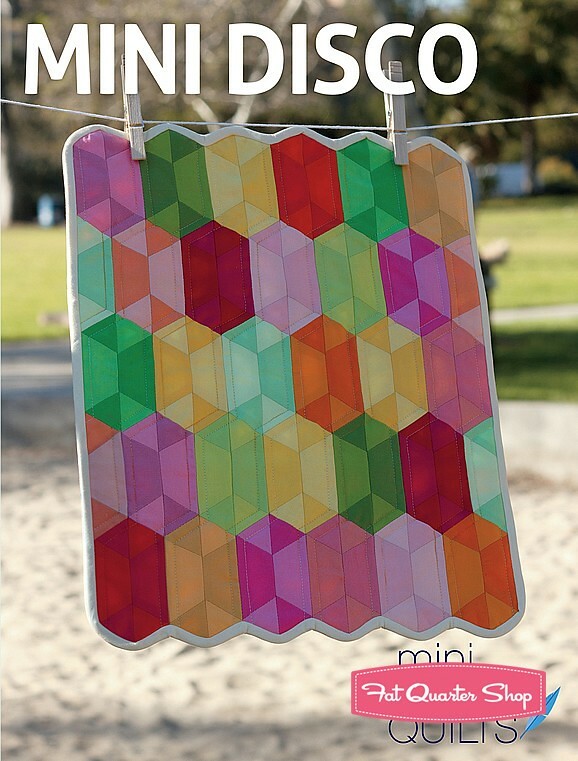 There are so many options to put your mini quilts to use. They love to show off gallery style as wall hangings at home or in an office setting. Mini quilts are great complements to a favorite doll. They also make an impressive place setting when they are made with coordinating fat quarter cloth napkins. I hope you enjoy making the Mini Disco Quilt as much as I did!